Exclusive: One year after the Cold War ended, Russia tried to cooperate with a U.S. national security investigation into possible treason by senior American officials only to see the information ignored. Two decades later, Russians feel their warning about a Boston Marathon bomber was ignored again, Robert Parry reports. The distrust between U.S. and Russian intelligence services has become an issue in the Boston Marathon bombing case, but that history dates back to shortly after the Cold War ended when Russia supplied evidence to a major U.S. national security investigation and later learned that the material had been unceremoniously discarded. In that 1992-1993 investigation, Rep. Lee Hamilton, then the incoming chairman of the House Foreign Affairs Committee, asked his counterpart in the Russian Duma, Sergei V. Stepashin, for any evidence that Moscow might have about allegations that Republicans secretly collaborated with Iran in 1980 to delay the release of 52 U.S. hostages and thus torpedo President Jimmy Carter’s reelection bid. 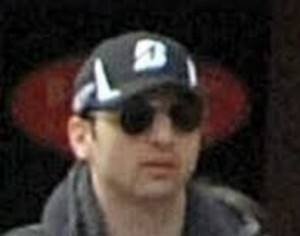 A photo of Tamerlan Tsarnaev in the minutes before the April 15, 2013, explosions near the finish line of the Boston Marathon. Tsarnaev died after a shootout with police three days later. His younger brother, Dzhokhar, was apprehended on April 19 and is now facing federal terrorism charges. 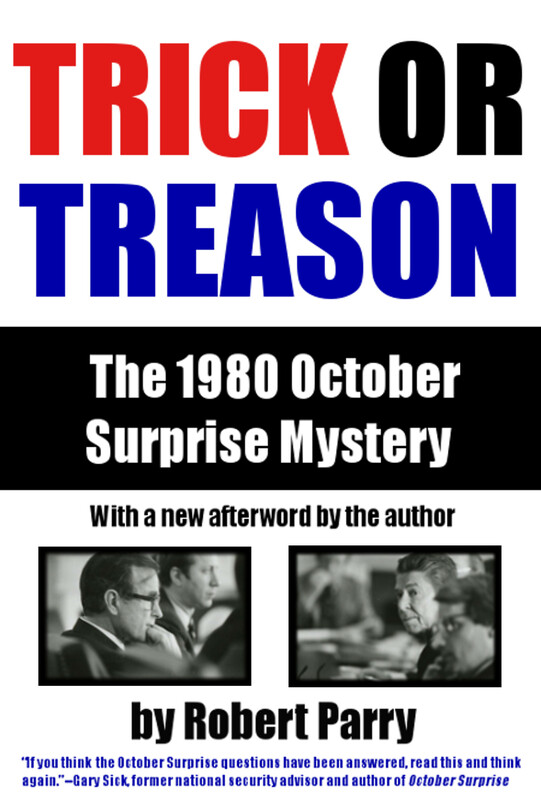 The matter, known as the October Surprise case, was extremely sensitive at the time of Hamilton’s request on Oct. 21, 1992, because the clandestine meetings between Republicans and Iranians in 1980 allegedly involved Americans who, in 1992, included the sitting president, George H.W. Bush, and the sitting CIA director, Robert Gates. But Russia seemed willing to cooperate, especially after Bush lost his own reelection bid in November 1992. So, just one year after the Soviet Union collapsed, the Supreme Soviet’s Committee on Defense and Security Issues prepared a summary of internal Soviet-era intelligence files and sent the report to the U.S. Embassy in Moscow on Jan. 11, 1993, for delivery to Hamilton. The Russian Report, matter-of-factly, identified Bush, Gates and William Casey (who in 1980 was Ronald Reagan’s campaign director and later became CIA director) as having participated in a meeting with Iranians in Paris in October 1980 at which the Republicans promised Iran military assistance if Iran kept the hostages until after the U.S. presidential election. The Russian Report also described President Carter’s parallel offers to Iran to get the hostages freed before the Nov. 4, 1980, election. One key meeting occurred in Athens in July 1980 with Pentagon representatives agreeing “in principle” to deliver “a significant quantity of spare parts for F-4 and F-5 aircraft and also M-60 tanks via Turkey,” according to the Russian Report. In return, Iranians “discussed a possible step-by-step normalization of Iranian-American relations [and] the provision of support for President Carter in the election campaign via the release of American hostages,” the report said. The Republicans simply won the bidding war. However, the legal difference between the rival efforts was that President Carter had the constitutional authority to conduct negotiations with foreign powers. The Republican campaign did not. The Russian Report also described how the Reagan administration fulfilled its debt to Iran. “After the victory of R. Reagan in the election, in early 1981, a secret agreement was reached in London in accord with which Iran released the American hostages, and the U.S. continued to supply arms, spares and military supplies for the Iranian army,” the report said. The deliveries were carried out by Israel, often through private arms dealers, the report said. Spares for F-14 fighters and other military equipment went to Iran from Israel in March-April 1981 and the arms pipeline stayed open into the mid-1980s, the report said. In other words, according to the Russian Report (and other evidence from U.S. and Israeli officials), the Reagan administration sanctioned U.S. weapons shipments to Iran before the Iran-Contra deals, which also moved through Israel in 1985-1986. In early 1993, when the Russian Report arrived at the U.S. Embassy, it was still under the control of the Bush administration. So, the report was translated and topped with a dismissive preamble, questioning the quality of the Russian information and noting that the Russian government had not responded to a request for more details. Though the Russian Report corroborated sworn testimony of a Republican-Iranian deal that the task force had already heard, the report arrived after the task force had decided in the wake of Bush’s loss to Bill Clinton to simply say there was “no credible evidence” to prove that Bush and other Republicans had struck a deal with Iran in 1980. Indeed, the task force’s dismissive findings had already been sent to the printer and some reporters were being briefed on the negative conclusions when the Russian Report arrived. Then, instead of disclosing the contrary Russian information, Hamilton’s task force just went ahead with a press conference to clear Bush, Gates, Casey, Reagan and other Republicans of a political dirty trick that bordered on treason. 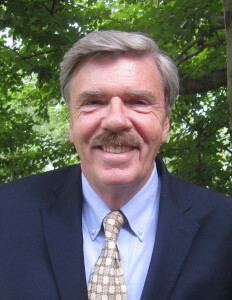 The task force’s chief counsel, Lawrence Barcella, stuck the Russian Report into a plain cardboard box along with other boxes of non-published material from the investigation. The boxes were subsequently moved to some auxiliary office space located in the Rayburn House Office Building’s parking garage and there the boxes were dumped on the floor of an abandoned Ladies Room. In December 1994, after congressional elections that ended the long-time Democratic control of the House, I gained permission to examine the unpublished files and was led to the boxes in the Ladies Room. I was told that I could only copy a dozen pages and that I would be under the supervision of a congressional staffer. However, given the chaos of a party changeover in the House and the fact that it was just before Christmas, I was pretty much left alone with the boxes. When I opened them, I discovered that they contained a number of classified documents, including the U.S. Embassy cable with the Russian Report. Yet, because the mainstream U.S. news media had swallowed the official debunking of the October Surprise allegations and because the story of Reagan’s apparent skullduggery was considered “old news” I couldn’t find any major publication interested in the documents that I had uncovered. 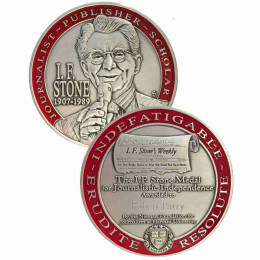 To get the material to the American people, I eventually founded the Internet site that became Consortiumnews.com. I also did the best I could to check with Russian officials to get their reaction to the silence that had followed their extraordinary report apparently the first time that Moscow had cooperated with Washington on an intelligence-related investigation since the end of the Cold War. In the weeks after discovering the Russian Report, I contacted a well-placed government source in Europe who had close ties to senior Russian officials. At my request, the source inquired through his Moscow contacts about the basis for the Russian Report. The source called back and said the Russians were insisting that the intelligence in the report was their own and that the information was reliable. The source chuckled at the notion that the Russians would just repackage some Western news clips and palm them off on Congress. Only after I published articles on the Internet about the fate of the Russian Report did Moscow learn that not only did the House task force ignore the report, but actually stuck it in a box that was piled unceremoniously on the floor of a former Ladies Room off a congressional parking garage. I also spoke directly with a senior Russian diplomat who was familiar with the report. Although the diplomat had not seen the documents upon which the report was based, he confirmed that the Soviet Union had its own well-placed sources in key governments connected to the U.S.-Iranian maneuvering. “There’s no doubt the report is true,” the diplomat stated. Other intelligence sources have said the Soviet KGB was quite adept at collecting intelligence about countries near the Soviet borders, such as Iran, and had penetrated many Western intelligence services, especially in Europe but also in the United States. The general weakness of the KGB, according to these sources, was in analyzing the information, but the sources said often the raw data was accurate, frequently gleaned from wiretaps that are more common in authoritarian states than in democracies. Years later, I discovered that the events surrounding the Russian Report were even more curious. While interviewing Lee Hamilton about a related issue, I broached the question of why he had not released the Russian Report to the public. He seemed baffled by my question. “I don’t recall seeing it,” Hamilton said. While there are many differences between the case of the Russian Report and the case of Tamerlan Tsarnaev, the elder brother who has been identified as one of the Boston Marathon bombers, there are some similarities. According to published reports and my own intelligence sourcing, the Russians became suspicious that, by 2011, Tamerlan Tsarnaev, whose family came from war-torn Chechnya, had become a radical Islamist who might join up with militants in the Russian Caucasus region. Since the collapse of the Soviet Union, militant secessionists had clashed with Russian troops there and terrorists had struck repeatedly at civilian targets in Moscow and elsewhere. One source close to Russian intelligence told me that the Russians had monitored Tsarnaev’s communications with family members, some of whom Moscow also regarded as possible security risks. The Russians then passed a summary of their findings to the FBI, but withheld the details. The FBI has reported that it checked databases on Tsarnaev and turned up no derogatory information, prompting a request for more information from the Russians. However, much as the United States hesitates to share sensitive sources and methods with foreign intelligence services, so did the Russians. There also remains a measure of distrust between the two Cold War rivals. Daniel Benjamin, the State Department’s former top counterterrorism official, told the New York Times that “a culture of wariness” still exists more than two decades after the Soviet Union collapsed. Beyond wariness, the two sides view the other with some disdain. I have spoken with former U.S. intelligence officials who disparage the quality of Moscow’s intelligence analysts and I’ve talked with sources close to Russian intelligence who decry the foolish arrogance of the Americans. To a degree, the experience of the Russian Report is illustrative of the misunderstanding and mistrust that still permeate this bilateral relationship. In 1993, Russian officials believed they were making an important contribution to an American national security investigation into whether senior U.S. officials had engaged in something close to treason only to have their dramatic evidence ignored, shunted aside and dumped in a women’s bathroom. Now, the Russians are wondering why the FBI didn’t take more seriously their warnings about a young exile from the Chechen conflict whom the Russians had concluded was veering dangerously close to radical militancy. WTC bombing, 2/23/1993, FBI informant, Emad Salem, handlers were FBI Agents, John Anticev and Nancy Lloyd. Emad Salem paid over a million dollars..is he still in witness protection? What happened to the Egyptian/US Citizen, Ali Mohamad, FBI informant/OBLiden’s spy in the USA, who was finally arrested in 1998, who took the photos of the two US embassies in Africa before they were bombed? Where is Ali Mohamad now? Who was his FBI “handler” who said Ali Mohamad was the most dangerous man in the USA? Why didn’t Ali Mohamad testify at the 9/11 Senate Committee Hearings or the 9/11 Commission hearings? Inquiring minds want to know. All this info is public information just have to search for it. Try their names on youtube and google search. This is incredible, unbelievable..that the Russians warned the FBI twice, and the FBI interviewed the suspect in Summer of 2001, and he’s put on “THE LIST” ..yet he flys to Russia for 6 months in 2012. Russia admits to “communication interception” listening to their phone conversations. Yet we are to believe the FBI/CIA/NSA/Dept. Homeland Security/DOD did NOT continue to listne/monitor/collect these suspects: emails, social media, cell and home telephone conversations after 2011? The FISAct has given these Govt. Agencies “carte blanch” to “listen/intercept/collect data” both foreign and domestic….24/7…especially to those on a terrorist list! The FBI asking the public to identify the two suspects photos?…FBI/NSA/CIA doesn’t have “face recognition” software or use of “Echelon/Narus STR 6400? What a laughable diatribe. LOL! I know 1 thing. An FBI agent was not given a note that said these 2 brothers plan an imminent attack on this country and then walk away and cut trees on a ranch completely ignoring the warning. Should we outsource our International Security? Seems offshore has more intel than what we are getting for our $$ onshore…it’s a very sad state of affairs when you do the math, these disasters could have been prevented. There still is the assumption that Tsaernev is guilty, and he has been killed so cannnot defend himself. “Suspects” no longer have any hope. You say, “Now, the Russians are wondering why the FBI didnâ€™t take more seriously their warnings about a young exile from the Chechen conflict whom the Russians had concluded was veering dangerously close to radical militancy.” But is that quite fair? The extensive discussion on “All In with Chris Hayes” on MSNBC tonight does not seem to support the claim that the FBI “dropped the ball”. Of course, we have very few hard facts at present. Myself, I wonder how the murder of Tamerlan Tsarnaev’s three friends factors into the history of his radical transformation. I hope someone can find out, as the bombing has been such a major crime and reactions to it can cause more problems. And his Mercedes Benz while he was on welfare?